Buying products online seems like a cakewalk. All you need to do is select a product, add it to your cart, make the payment and wait for it to arrive. But, is this process as easy as it seems for sellers too? Probably, not. What seems so simple and quick on the surface actually has a lot of processes taking place behind the scenes to move the funds from the buyer to the seller. The most important element that ensures a smooth transfer of funds to the seller is the payment gateway solution. Today, e-commerce businesses cannot function without a payment gateway. Wondering what is it and why you need it for your business? Keep reading. What is a payment gateway solution? In simple terms, a payment gateway is a service that facilitates online payment. To process the payment, this service identifies, verifies the payment method and only then accepts the amount paid by the customer. This is a secure way of accepting payments as it encrypts sensitive information such as the credit card number, name, and CVV pin. 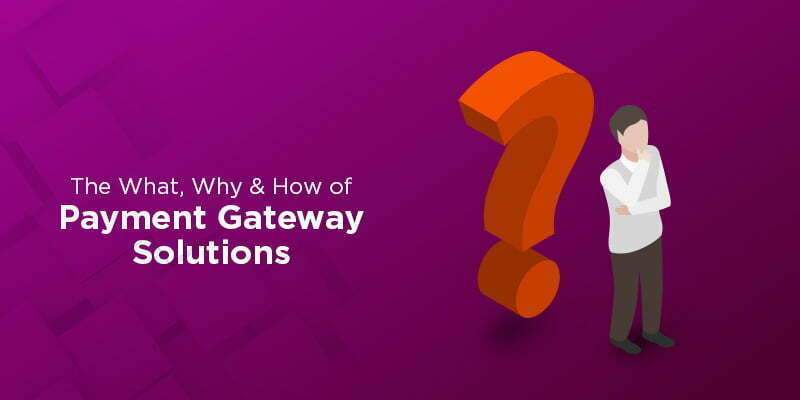 Why you need a payment gateway solution? The following are a few statistics that explain why you need a payment gateway solution for your business. Now that you are familiar with the numerous benefits of using a payment gateway service, it is time to use it for your business. To do so, you can research the top payment solutions in India. Remember, there are payment gateway solutions like Easebuzz that offer free services. By opting for this service, you won’t have to worry about end-to-end payment process execution. It is a simple, reliable and secure solution for your business. Thanks to such a service, you can now have enough time to focus on other important aspects of your business.